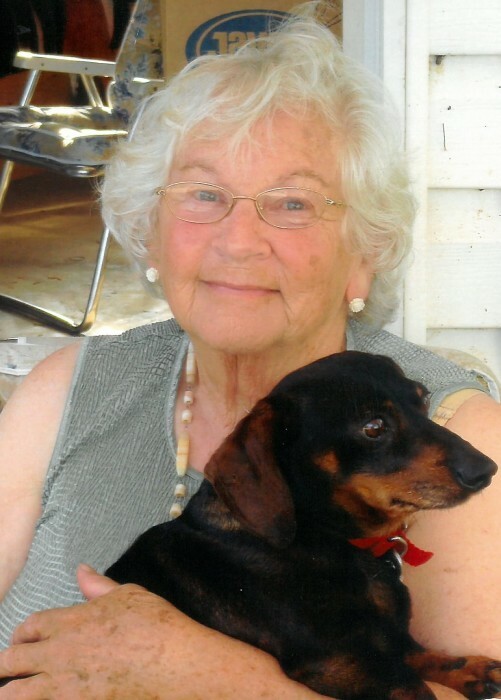 Obituary for Agnes Minnie (Gordon) Stevenson | Swan Valley Funeral Services Ltd.
Agnes Stevenson was born June 8, 1930 to Jack and Charlotte Gordon of Swan River, Manitoba. She was the fifth of seven children. She passed away on December 22, 2018 in Brandon, Manitoba. Agnes grew up on the farm in the Shaw District. She attended Shaw School until Grade Nine and completed her education at the Swan River Collegiate. Agnes married Earl Stevenson. They moved to Cranberry Portage for three years, then to The Pas for three years, returning to Swan River in 1954. In 1960 Agnes was hired by the Swan Valley Credit Union. She was their first employee and worked there for twenty-four years. She also worked part time for eleven years with Parkland Home Care. She will be sadly missed by her children; Pat Hancharyk of Swan River, Carolyn Killingbeck and Katherine Hassard both of Brandon, and John of Swan River, with who she made her home in later years. Besides her children she leaves seven grandchildren, eleven great grandchildren and eight great great grandchildren. She is predeceased by Earl, her husband of fifty-three years; parents Jack and Charlotte; brothers Robert, Bruce Frank, George, Jack; and a sister Mary Sigurdson. In keeping with Agnes’ wishes, cremation has taken place and no service will be held at this time. If friends so desire, donations in Agnes’ memory may be made to: Thunderhill Ski Club, Box 1523, Swan River, Manitoba R0L 1Z0, or to Heart and Stroke Foundation, 6 Donald Street, Winnipeg, Manitoba R3L 0K6.